In this easy to follow, step-by-step presentation, attendees will learn how to find their organizational style and create a uniquely customized system for organizing their genealogy papers. Elyse Doerflinger is a young genealogist with a passion for writing and lecturing on genealogy and technology related topics. She also authors Elyse's Genealogy Blog, where she shares the stories of her ancestors. Are you overwhelmed with the number of online resources for genealogical research? Are you constantly working with unorganized bookmarks or favorites? Printing out lists of websites you use most? Learn how to build a research toolbox that is organized, easy-to-use, and can be accessed from almost anywhere. Join webinar host Geoff Rasmussen and speaker Thomas MacEntee (author of Google for Genealogists and Backing Up Your Genealogy Data) for this 90-minute free webinar, Building a Research Toolbox. Participants will learn not only some of the most important online resources for genealogical research, but also how to organize these resources into an easy-to-access and portable virtual toolbox. The live webinar is scheduled for Wednesday, April 6, 2011, so register today to reserve your virtual seat. Registration is free. Thomas MacEntee is a professional genealogist specializing in the use of technology and social media to improve genealogical research and as a means of interacting with others in the family history community. Utilizing over 25 years of experience in the information technology field, Thomas writes and lectures on the many ways in which blogs, Facebook and Twitter can be leveraged to add new dimensions to the genealogy experience. 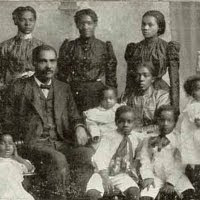 As the creator of GeneaBloggers.com he has organized and engaged a community of over 1,800 bloggers to document their own journeys in the search for ancestors. Anyone with a computer needs to watch the recording of Thomas MacEntee's webinar, Backing Up Your Genealogy Data. One of our viewers described it perfectly when she said, "Even if you think you know everything about backups, I'd recommend watching the video. He brings up things that we don't always think about." This is how I would describe it as well. If you could not make it to the live event earlier today, the 1 hour 31 minute recording of Backing Up Your Genealogy Data is now available in our webinar archives. Visit www.LegacyFamilyTree.com/webinars.asp to watch. The free recording will be available until April 4, 2011. Own your own copy of Backing Up Your Genealogy Data by purchasing the webinar-on-CD for just $9.95. It includes the recording of the class (1 hour 31 minutes), the complete Q/A session, and six pages of handouts. Click here for more information or to purchase. The special discount coupon of Backup that was announced during the webinar is valid for 10% off anything in our online store through Monday, March 28, 2011. Excellent. I thought I knew lots about backing up, but I learned so much. Thanks for providing these seminars. Thomas gave so many tips and suggestions for backing up programs..need to get started....will buy the CD. Easy to understand presentation, so much information packed into an hour, motivational, look forward to future webinars. An extremely enjoyable, well-paced, informative webinar. This was my first webinar - what an exciting way to learn. Thanks so much for making these available. I found Thomas' explanations both thorough and clear....helpful for those of us who are novices. Thank you so much for the comparison of different online backup programs. Nice to know about the different elements within each program and that there is no "one size fits all." Greatly enjoyed the presentation. Good information for practical use which if I apply it, may keep me from losing much valuable data. You provide an excellent, well organized, understandable presentation. Your answers were thoughtful and direct. Felt like you were sitting here next to me walking thru your slides. I would love to attend more webinars with you instructing! Very good presentation. Easy to understand, especially for someone who belongs to the "older generation". You answered so many questions that I have had about Backing up my Genealogy. Thanks so much. Always learn something from Thomas! Thank you so much for the wonderful webinar Legacy and Thomas! I couldn't imagine all the data I've been neglecting to backup! What an eyeopener. Thank you so much for this great webinar. Excellent speaker for a great topic. Will change the way I do backup! I found this session very good both in terms of new information and reinforcement of the basics that I already was aware of but do not consistently act on. The presenter was very knowledgeable and spoke in an easy to understand fashion. This was my first webinar ever, and I was particularly impressed with how clear and organized it was. Excellent pacing, slides, information and interaction between the presenter and the mediator. The workshop is free, but attendance is limited to the first 100 who log in for the event on the 30th. 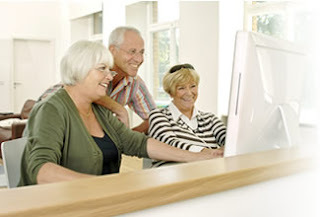 A webinar to aid new members of Ancestry.com in preparing an Online Member Tree. If you are curious about how to begin using Member Tree at Ancestry.com, this webinar is for you! Do you know how FamilyInsight can help? Are you a new user of FamilyInsight? Do you know what we mean by file clean up? Have you only used FamilyInsight to find records on the new FamilySearch? Join us to learn how to use the other features that FamilyInsight has to offer. Find out if you have unlinked people or pedigrees, or duplicate records for some individuals, in your file. Learn how you can improve your file by correcting your place names so they are consistent and recognized by the new FamilySearch. See how simple it is to merge people and much more! FamilyInsight is a powerful but often underutilized tool. The first tenet of the Genealogical Proof Standard is to "complete a reasonably exhaustive search" for all relevant records related to your research objective. This presentation discusses what a "reasonably exhaustive search" entails, why this is necessary, and how to conduct a search. A case study explores how failing to identify all relevant records can lead to missing information and forming inaccurate conclusions about your ancestors' lives. Space is limited. Reserve your webinar seat now! Guest Presenter: Thomas J Kemp- Director of Genealogy Products - NewsBank, inc. Discover how GenealogyBank can help you tap into a wealth of information about your ancestors from first-hand accounts in historical newspapers - material that simply can't be found in other sources. You'll be fascinated by the stories, names, dates, places and events that have played a role in your family's history. Learn what to look for in historical newspapers and how GenealogyBank.com can help you. Brickwalls in African-American genealogy can be caused by lack of records or improper research habits. Learning to research effectively can help to avoid these brickwalls. Learn how to increase your productivity using SharingTime TM. a new tool that integrates into the FamilySearchTM website. 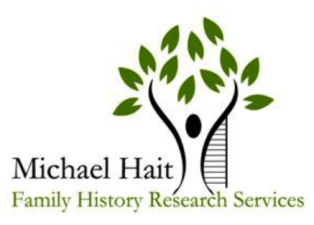 Quickly link to and auto-search dozens of internet resources, e-mail collaborators in seconds, and focus your research on ancestors that are closest to being ready for temple work. The first step of the Genealogical Proof Standard is to "complete a reasonably exhaustive search for all relevant records" related to your research objective. This presentation discusses what a "reasonably exhaustive search" constitutes, why this is necessary, and how to conduct a search. A case study explores how failing to identify all relevant records can lead to missing information and forming inaccurate conclusions about your ancestors' lives. As we mark the 150th anniversary of the war between the states, learn what life was really like during that era—for the soliders who fought and died in the conflict, as well as the civilians they left behind at home. Take a virtual trip back to the 1860s with the author of the new book Life in Civil War America to discover what your ancestors wore, said, ate, earned, did for fun and more! * And many more intriguing facts! ** By signing up for this Family Tree University Webinar, you will automatically be signed up to receive Family Tree Magazine & Family Tree University's email newsletter, plus updates and special offers from Family Tree Magazine and carefully selected partners. Would you like Ol' Myrt to help tweak your new blog? Freshen up an older blog? If you use Blogger.com, then have I got a deal for you! Hot on the heels of yesterday's webinar, Ol' Myrt will present a free small-group workshop webinar on March 15th to help three bloggers tweak their Blogger.com genealogy blogs. Everyone else can watch the process. Hopefully, I'll cover some of the very blog tweaks you've been wondering about lately. 3. You will receive an invitation to attend the seminar as a "Panelist" with unique login info. 4. You'll also receive an email from Myrt personally detailing how the workshop webinar will work. 5. To participate LIVE you must have a headset, or call-in on your phone so other participants can hear you during your segment of the workshop. Go to https://www1.gotomeeting.com/register/574244929 to register. Looking forward to meeting with 100 of my dearest friends on the 15th at the LIVE DearMYRTLE Workshop Webinar (c). DearMYRTLE's More Blogging for Beginners webinar is now available in our webinar archives. Anyone with an interest in blogging will not want to miss this. One of our viewers commented, "I was too intimidated to blog because I didn't understand how to do it. Now because of DearMYRTLE's webinars I am starting a blog today! Thank you for the opportunity to learn." A special thanks to Myrt of DearMYRTLE.com! If you could not make it to the live event, the 1 hour 28 minute recording is now available in our webinar archives. Visit www.LegacyFamilyTree.com/webinars.asp to watch. The free recording will be available until April 2, 2011. Remember that the 10% off coupon of Blogging expires Monday, March 7, 2011. It is valid for anything in our online store. Own your own copy of More Blogging for Beginners by purchasing the webinar-on-CD for just $9.95 It includes the recording of the class (1 hour 28 minutes), the complete Q/A session, and the handouts. for just $44.95 - a savings of $4.80. Are you familiar with Dropbox – a program that provides 2 gigabytes of online storage for free? Learn how to sign up for Dropbox, install the program and get started ensuring the safety and security of your genealogy research data. Seems too good to be true, right? Two gigabytes of online storage for free? And storage that can synchronize files across your computer, your laptop and even your mobile device? It is true, and you can learn how to leverage the power of Dropbox – a free online program to back up your genealogy data and even share files with friends and family. The live webinar is scheduled for Thursday, April 21, 2011, so register today to reserve your virtual seat. Registration is free. Thomas MacEntee is a professional genealogist specializing in the use of technology and social media to improve genealogical research and as a means of interacting with others in the family history community. Utilizing over 25 years of experience in the information technology field, Thomas writes and lectures on the many ways in which blogs, Facebook and Twitter can be leveraged to add new dimensions to the genealogy experience. As the creator of GeneaBloggers.com he has organized and engaged a community of over 1,700 bloggers to document their own journeys in the search for ancestors. Wednesday, March 23, 2011. Backing Up Your Genealogy Data with Thomas MacEntee. Register here. Wednesday, April 6, 2011. Building a Research Toolbox with Thomas MacEntee. Register here. Wednesday, May 4, 2011. Preserving Family Photographs: 1839 to the Present with Maureen Taylor. Register here. Google for Genealogists by Thomas MacEntee, 1 hour 28 minutes. Sharing Genealogy Electronically by Geoff Rasmussen, 1 hour 49 minutes. Chasing Women: Finding Your Female Ancestors, by Leland Meitzler, 1 hour 21 minutes. More Blogging for Beginners, by DearMYRTLE, 1 hour 28 minutes. Our friends at Legacy Family Tree Webinars are hosting DearMYRTLE's MORE Blogging for Beginners webinar in just a few hours. It's free! We did a quick run-though yesterday to be sure all systems are go! Add Page (like a tab) on your blog for disclosure statement. The webinar will be held live on Wednesday, March 2, 2011 in these time zones. The first 1,000 to arrive will get a seat for this event. March Madness for Genealogists: Join me for Free Webinars! Author, Instructor, and Lecturer, Lisa A. Alzo is offering a series of free genealogy Webinars during the month of March in a series "March Madness for Genealogists." Space is limited to the first 100 attendees. Reserve your spot now! While others are watching basketball, join Lisa for some genealogy learning and fun!